Disassembly is begun on the Healey. 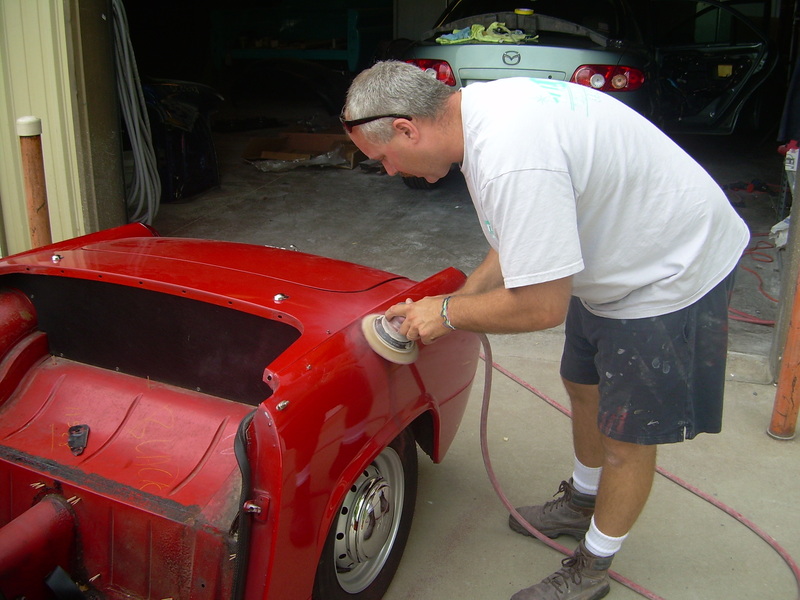 Progress has been somewhat slow on the car because business has really been booming of late. 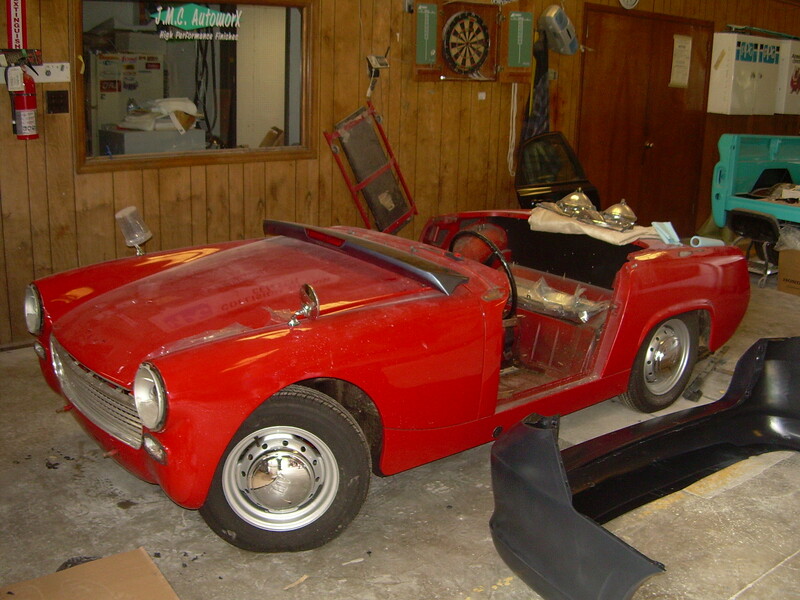 In the second picture, the black bumper on the floor is from Terry’s, the owner of the Healey, daily driver. His daughter was rear-ended in their minivan, so obviously he wanted that fixed first. You might note that their Odyssey minvan is almost as wide as the Healey is long. 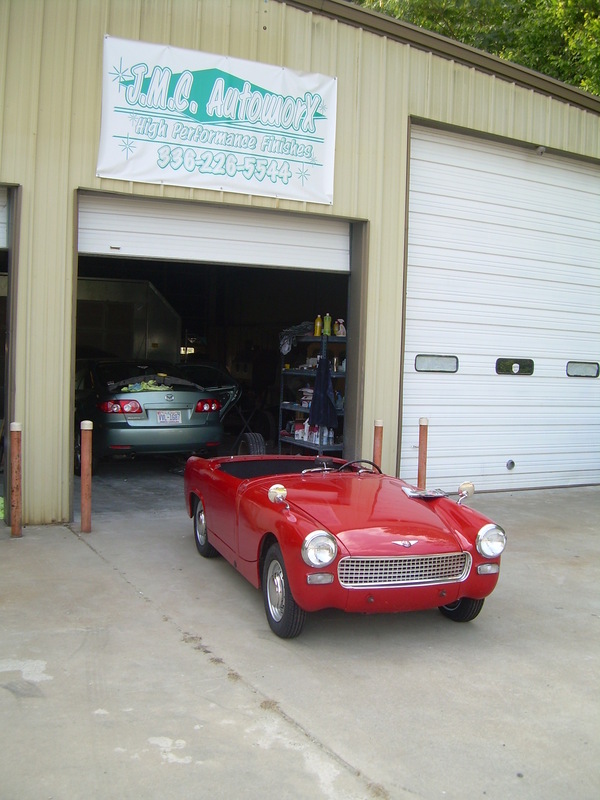 A 1962 Austin-Healey Sprite was dropped off at the shop today. 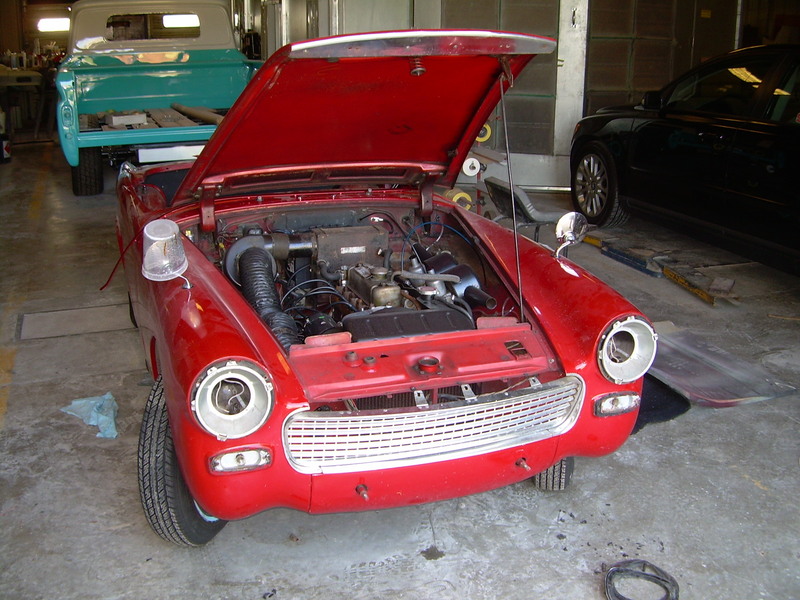 The owner had already removed all the bright-work and interior, which will make getting it ready for paint quicker. When I was inspecting the car I noticed a flaw in the paint I hadn’t seen before. I wanted to take a look at that while the owner was still standing there in case I uncovered something that was going to add significantly to the cost. It turned out to be nothing, but you should have seen the owners face when I attacked his car with a power sander. At least I warned him first.